Duke’s Master of Engineering in Computational Mechanics and Scientific Computing is one of the most comprehensive in the world—and features a top-notch faculty. "The problem-solving skills I learned were the most valuable part of my Duke experience." Increasingly, engineering systems are being designed and tested virtually. The successful use of model-based simulation in modern applications requires a solid background in engineering physics, computer science, probability, data sciences, and applied mathematics. This Master of Engineering program provides a strong foundation in all of these areas. 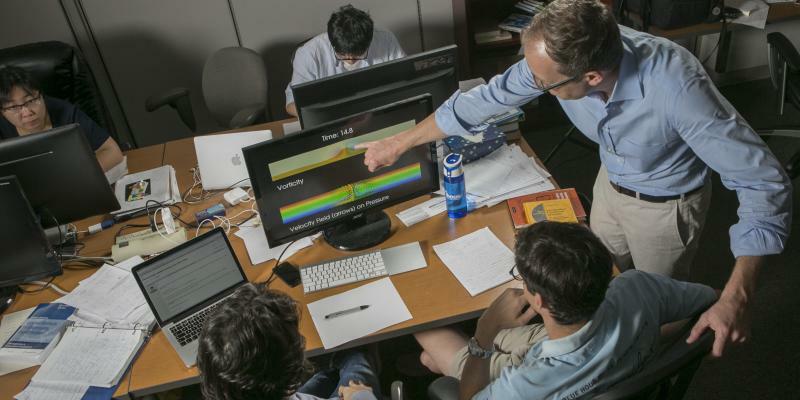 The program emphasizes the use and development of modern numerical tools for model-based simulations such as finite element methods, uncertainty quantification procedures, and data analysis techniques, among others. We offer a large number of core and elective courses in finite element methods for applications in solid mechanics, fluid mechanics, and coupled field problems. In the Duke Master of Engineering program, you take specialized technical classes and a core of business leadership and management courses, with a required internship or a project completing the degree. You should consider this degree if you have an engineering background and are interested in careers in computational modeling in engineering. If you have a background in physics, computer science, or mathematics and are interested in enhancing your knowledge and understanding applications in engineering and practical modeling techniques, this degree may be for you. Engineering positions in model-based simulation and design increasingly require master's-level training. Students who complete this program will be well-prepared to use finite element methods and other modern numerical tools to model problems in additive manufacturing, engineering mechanics, and engineering consulting. Students completing the program will be well-prepared to continue on in PhD programs in computational science and engineering. Students receive interdisciplinary training in modern computational methods, engineering, computer science, and applied math. Aquino has broad interests in computational mechanics, including finite element methods, computational inverse problems, uncertainty quantification, coupled chemo-mechanics, and computational acoustics, among others. Blum's research focuses on "first-principles" computational materials science: using the fundamental laws of quantum mechanics to predict the properties of real materials from the atomic scale on upwards. Dolbow's research concerns the development of computational methods for nonlinear problems in solid mechanics. Guilleminot’s research focuses on uncertainty quantification, computational mechanics and materials science, as well as on topics at the interface between these fields. 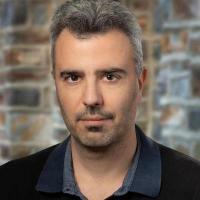 Scovazzi’s research interests include finite element and advanced numerical methods for computational fluid and solid mechanics. Veveakis’s research interests include geomechanics, theoretical and applied mechanics, and thermodynamics, with emphasis in multiphysical modelling of plasticity of solids, solid-fluid interactions, friction laws and rheology of geomaterials. Other course offerings may be substituted with consent of the Director of Masters Studies.